Chi Upsilon Sigma will host a human trafficking event Tuesday, Dec. 11 from 7 to 9 p.m. in MSC Room 315A. Chi Upsilon Sigma National Latin Sorority Inc. will be hosting a human trafficking program Tuesday, Dec. 11 from 7 to 9 p.m. in the Miron Student Center (MSC), Room 315A in hopes of spreading awareness about this sensitive topic. Chi Upsilon Sigma is a Greek organization that values diversity, leadership and community. With those values in mind, Chi Upsilon Sigma strives to promote a positive image of companionship in communities of color. For this event, Chi Upsilon Sigma wishes to use its values to expand the knowledge of those willing to listen. Since human trafficking is an important topic to address, they will have guest speaker Keyla Munoz provide information regarding this topic. Munoz is an advocate against human trafficking and educates communities about the statistics of this crime. Students can look forward to details about signs of human trafficking advice on how to handle this matter. For those who might not know, human trafficking is the exploitation of humans for sexual and labor purposes. It generates billions of dollars victimizing innocent individuals and exposing them to horrible conditions. This program is meant to enlighten the minds of students of the tactics like violence, threat and manipulation, which occur to millions of people all over the world. 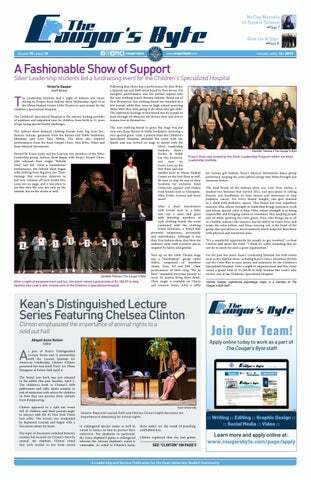 Chi Upsilon Sigma's Nu Chapter President and Secretary Candy Rivera spoke of the influence her organization could have on the Kean community. "The purpose of this event is to bring awareness to human trafficking and [figure out] what we can do as a community to stop it. Many people may think human trafficking may not be happening in their own backyard, but little do they know it could be happening in their own town," said Rivera. 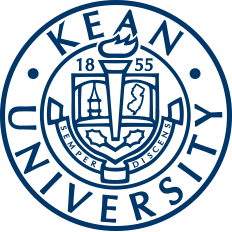 "It’s important to bring awareness of this issue not only at Kean, but to the community at large because this could impact anyone at any time of their life." There are many forms of human trafficking, not just what people think or see in the media so learning different signs is important. This is a topic that is rarely discussed, so educating the community on human trafficking and human rights is significant to do. "What we seek to teach the audience during this program are the signs to look out for and also what we can do as a community to help prevent another child or even adult from falling victim," Rivera said. "Recently there was a story of a young woman who had been kidnapped, when four young men saw her being carried by a man. The men confronted the man to make sure the woman was okay. By being brave, they saved the young woman's life." Rivera notes that students need to be aware and look out for one another in the community. "Students can benefit from this event, because this may inspire students to reach out and learn ways to help a victim of human trafficking. It will also educate the students of the importance of being a good citizen and looking out for one another," said Rivera. For students interested in attending this event, one can visit Cougar Link for more information.